At South Texas Plastic Surgery, P.A., Dr. Brian F. Burns strives to provide his patients with as much control over their breast augmentation results as possible by giving them the widest range of options available. From the type and location of the incision to the shape and texture of the implants, breast augmentation is one of the most customizable of all plastic surgery procedures. While Dr. Burns will happily advise women as to the options he believes are best suited to them given their unique needs and goals, he also encourages them to make their own choices. Among the most important of these choices is whether to have saline or silicone gel breast implants placed during breast augmentation surgery. Dr. Burns discusses both silicone gel and saline breast implants in detail during consultations at his Victoria, TX plastic surgery practice so that patients can make informed, confident decisions about how to proceed. While silicone gel breast implants are a popular choice among our patients for their realistic feel and appearance, saline breast implants remain an excellent choice for certain patients for the unique benefits they have to offer. Are saline breast implants the best option in your particular case? To find out, we encourage you to schedule your initial consultation with Dr. Brian F. Burns at South Texas Plastic Surgery today. Because they are filled with a sterile saline solution after they are placed, saline breast implants can be inserted through smaller incisions than silicone gel implants. The transumbilical, or “belly button,” incision technique is possible only with saline breast implants. This technique produces no scars on the breast whatsoever, as well as no scarring on the underarms (unlike the transaxillary, or underarm, incision). Dr. Burns is able to control the amount of saline solution that is placed in each implant to ensure symmetry between the breasts and the most aesthetically pleasing results possible. In the event of an implant rupture, patients will immediately know when a saline breast implant has ruptured as the saline solution will quickly leak out and safely be absorbed into the body. With a silicone gel breast implant, it may be weeks or even months before signs of implant deflation become apparent after a rupture. Finally, saline implants are generally less expensive than silicone gel implants, although cost should not be your primary consideration when choosing implants. While you won’t likely be thinking about the cost of your surgery two years after the fact, you will still be living with the results. 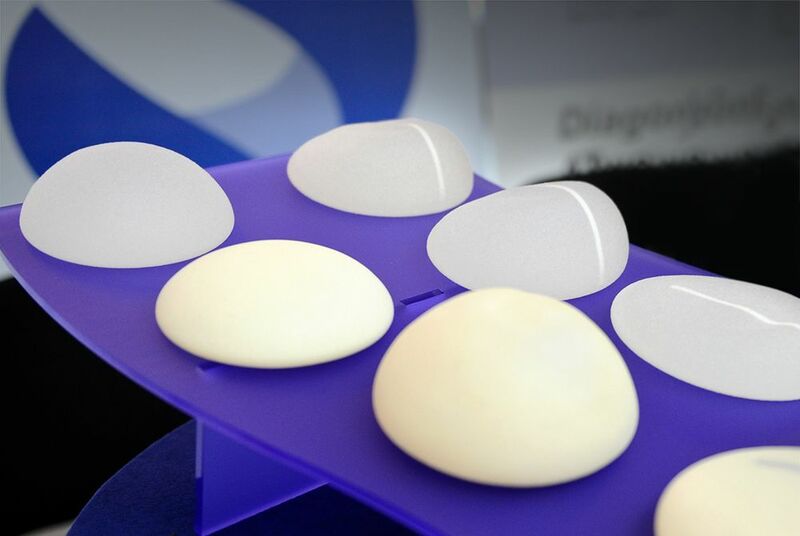 When people think of the somewhat artificial, “rounded” look of breast implants, they are likely thinking of saline breast implants, which tend not to look or feel as natural as silicone gel implants. Of course, many women consider this a benefit as it is precisely the look they wish to achieve. However, all patients should also be aware that saline is heavier than silicone gel and that, therefore, saline implants are more likely to shift downward over time. Patients with breasts that are already beginning to sag are probably not the best candidates for saline breast implants. If you would like to learn more about saline breast implants, please contact South Texas Plastic Surgery, P.A. today.